WHOI was awarded $5.7 million from ARPA-E’s Macroalgae Research Inspiring Novel Energy Resources (MARINER) Program for two projects that develop tools and technology to advance the mass production of seaweed for biofuels and bio-based chemicals. “By focusing on the technological challenges to growing and harvesting macroalgae (seaweed) efficiently and cost-effectively, MARINER project teams are building the tools we need to fully put this resource to work contributing to our energy future,” says ARPA-E Acting Director Eric Rohlfing. With $3.7 million, Lindell and a team of seaweed biologists, geneticists and entrepreneurs will develop a breeding program for sugar kelp—Saccharina latissima, one of the most commercially important species—using the latest gene sequencing and genomic resources for faster, more accurate and efficient selective breeding. The breeding program will build a library of genetic resources associated with plant traits that produce a 20 to to 30 percent improvement over wild plants. Lindell says the team expects to develop novel genomic tools that will accelerate the production of improved plants while decreasing the need for costly offshore field evaluations. “The really cool thing about the ARPA-E MARINER program is that it funds both the development of the farming technology and the development of the monitoring technology side-by-side,” says researcher Erin Fischell, who will lead the vehicle project. The WHOI-lead project teams will collaborate with a third MARINER project awarded to a team led by the University of Alaska Fairbanks. That project is developing scale model seaweed farms capable of producing sugar kelp for less than $100 per dry metric ton. Lindell will lead biological sampling and testing at seaweed farm sites in New England—Nantucket Sound and Long Island Sound—and Alaska. 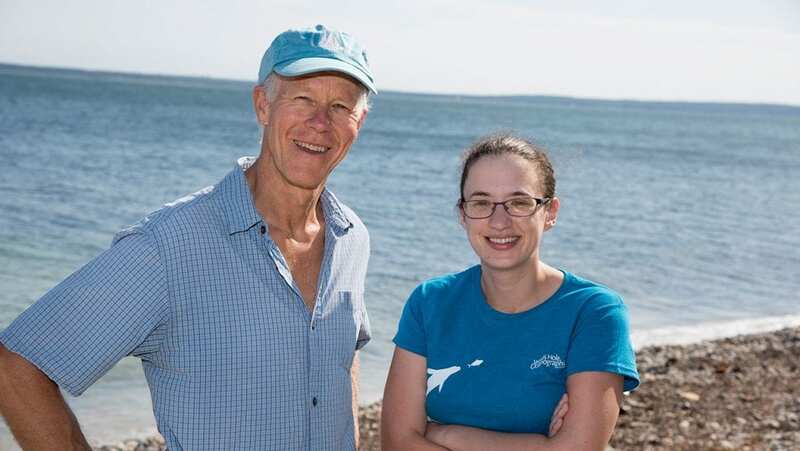 Biologist Scott Lindell and researcher Erin Fischell are part of a WHOI team working to advance the mass production of seaweed with funding from the U.S. Department of Energy’s Advanced Research Projects Agency-Energy. 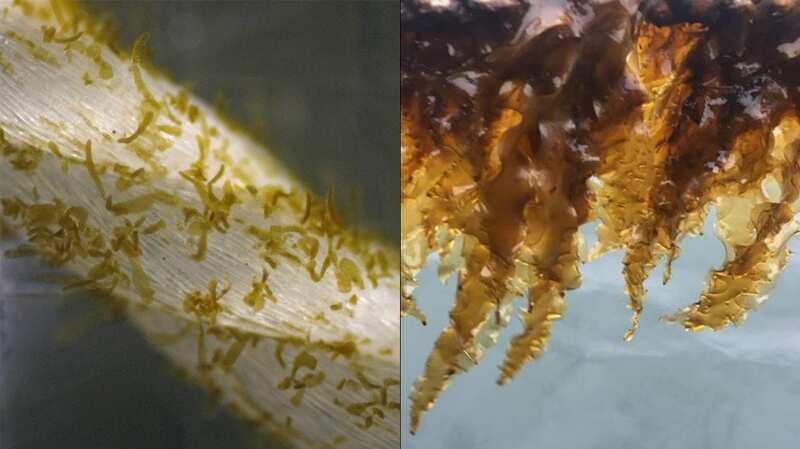 One of the funded projects will develop a breeding program for sugar kelp—Saccharina latissima, one of the most commercially important species—using the latest gene sequencing and genomic resources for faster, more accurate and efficient selective breeding. 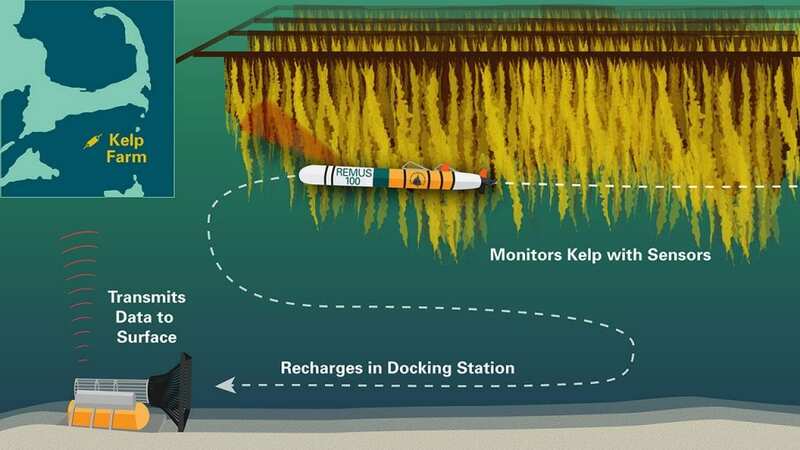 An illustration of the autonomous underwater observation system the WHOI team will develop for extended monitoring of large-scale seaweed farms. A REMUS (Remote Environmental Monitoring UnitS) 100 vehicle outfitted with acoustic, optical, and environmental sensors will monitor seaweed growth and health, equipment status, and water column properties. A REMUS docking station allows the vehicle to recharge and transmit data.